February 2, 2016 (WASHINGTON, DC) — Today at a briefing on Capitol Hill hosted by the bipartisan Congressional Primary Care Caucus, the Patient-Centered Primary Care Collaborative (PCPCC) unveiled its latest report highlighting new evidence that links the patient-centered medical home (PCMH) with lower costs and improved health care quality. 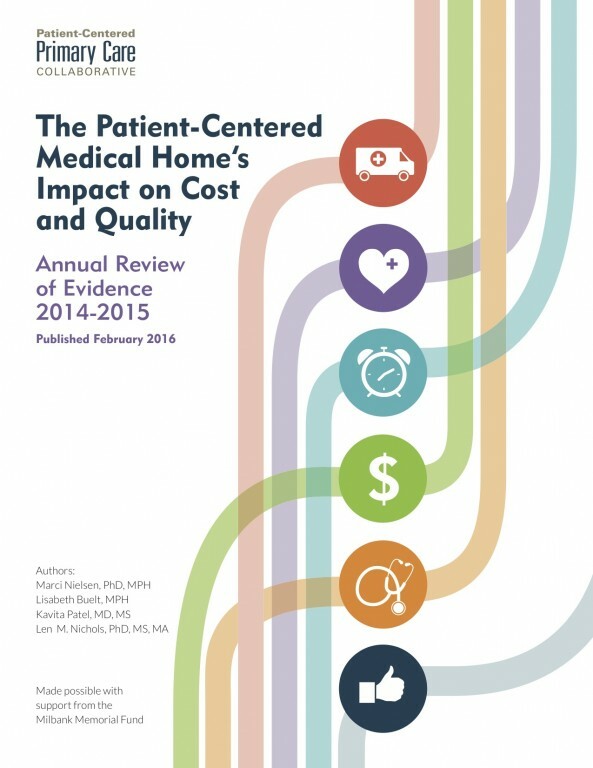 "The Patient-Centered Medical Home's Impact on Cost and Quality: Annual Review of Evidence 2014-2015” highlights 30 primary care PCMH initiatives from around the country that measured cost and utilization of services, and includes an analysis of the findings. The report also describes the payment model for each initiative and the implications of Medicare payment reform. The fifth annual PCPCC report, published with support from the Milbank Memorial Fund, reviewed 17 peer-reviewed studies, 4 state government evaluations, 7 industry reports, and 3 independent evaluations of large federal PCMH initiatives, all published between October 2014 and November 2015. Panelists at the Capitol Hill briefing discussed the findings in light of the federal government’s forthcoming definition and requirements for status as a PCMH, which is in progress right now and will influence future enhanced Medicare payments. The new report also highlights the critical need to assess the value of the PCMH from the perspective of patients, providers, and payers. While the goals or attributes for PCMH practices are often similar, the PCMH model is not “one size fits all.” PCMH practices differ in terms of their implementation, measurement, and performance, and the terms “medical home” and “PCMH” are not well understood by the public. 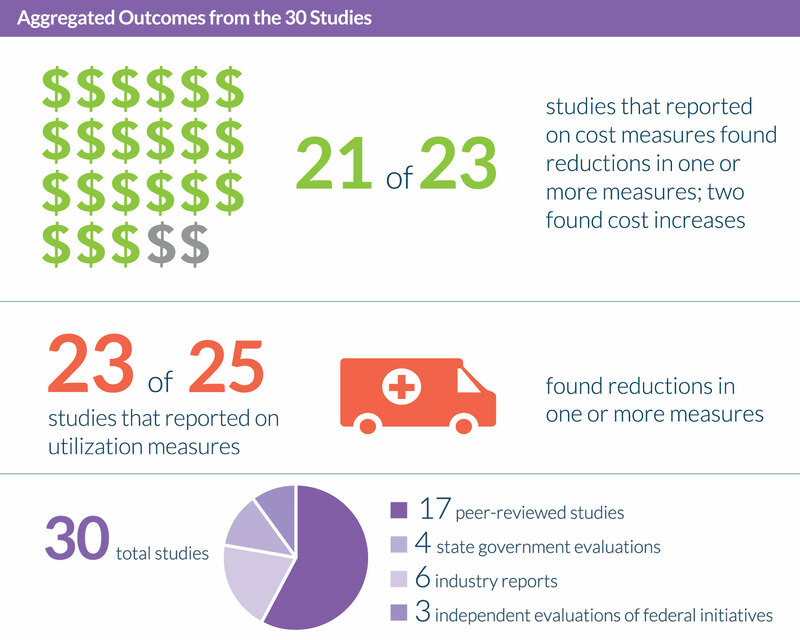 The report concludes with a call for comprehensive payment reform, alignment of payment and performance measurement, and a unified multi-stakeholder voice that speaks to the importance of alternative payment reforms to support the PCMH model. All of the studies, programs, and reports included in this publication can be found online on the PCPCC’s Primary Care Innovations and PCMH Map. The Map captures the extensive work and commitment of nearly 500 public and private initiatives nationwide that are working to improve the U.S. health care system through enhanced primary care and the PCMH. Speakers at the briefing include: Rep. Joe Courtney (D-CT), co-chair of the Congressional Primary Care Caucus; Rep. David Rouzer (R-NC), co-chair of the Congressional Primary Care Caucus; Douglas Henley, MD, FAAFP, executive vice president and CEO, American Academy of Family Physicians; Marci Nielsen, PhD, MPH, chief executive officer, PCPCC; Alissa Fox, senior vice president, Office of Policy and Representation, the Blue Cross Blue Shield Association; Christopher F. Koller, president, Milbank Memorial Fund; and Len Nichols, PhD, director of the Center for Health Policy Research and Ethics at George Mason University. The report was funded by the Milbank Memorial Fund, and the event was sponsored by the Blue Cross Blue Shield Association. Editor’s note: Supplemental infographics available upon request.